An industry survey carried out by the Construction Knowledge Task Group has found that a third of practitioners do not have easy access to the knowledge they need to do their job. The startling admission came from 38.5% of the 299 practitioners from every part of the industry who took part in the survey. Practitioners also admitted they use less-trusted knowledge sources more frequently than more-trusted knowledge sources, with web searches and free online resources accounting for almost half of all the knowledge accessed. 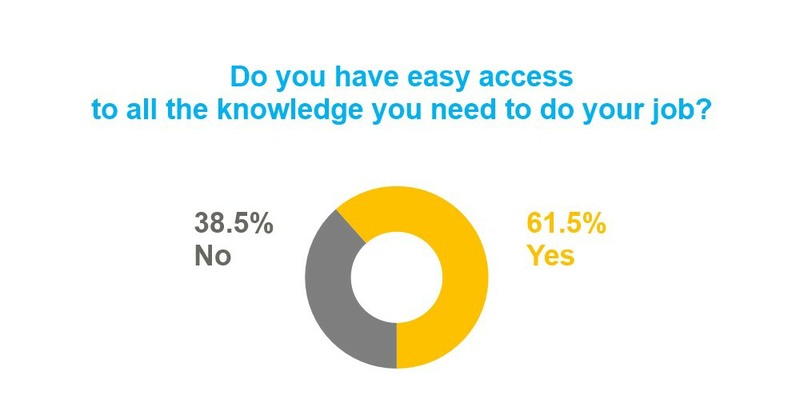 Cost and sign-up forms are significant barriers to accessing knowledge, particularly for SMEs. Practitioners are unaware of much of the knowledge that is available, they are overwhelmed by how much knowledge there is and frustrated by how fragmented it is. There is a ‘them and us’ culture separating those in the knowledge loop from those stuck on the outside. There is a need for quick and straightforward access to knowledge on demand. The survey also revealed that designers access industry knowledge up to four times more frequently than decision makers such as clients and project managers, and that the most frequently-accessed knowledge is practical, specific guidance that supports day-to-day activities. Less specific, traditional ‘learning’ material is not as popular. The purpose of the survey, which ran at the end of 2018, was to help the Construction Knowledge Task Group steer its work, improving the way industry knowledge is prepared, accessed and applied. It was distributed to the membership and other networks of the organisations that form the Task Group. Ann Bentley, global board director at Rider Levett Bucknall, and member of the Construction Leadership Council, said: “The results of this survey confirm what I suspected, and should be a wake-up call for the industry. Practitioners have embraced the internet and are seeking out easy-to-access, easy-to-apply knowledge. The survey suggests the future should be one in which knowledge is better integrated, less siloed, more easy-to-access and available through flexible subscriptions and intelligent search tools. The Task Group will meet in January to discuss how to drive this agenda forward. The Construction Knowledge Task Group was established in 2018 to make it as easy as possible for practitioners and other industry stakeholders to find, access and apply the right knowledge at the right time. Its members include representatives from; the Construction Leadership Council, CIOB, ICE, RIBA, RICS, i3P, BSRIA, CIAT, CIBSE, UKGBC, BRE, Arup, Rider Levett Bucknall, University of Dundee, Polypipe, The Get It Right Initiative, Cundall, Designing Buildings Wiki, AEC3 UK, Invennt and Stroma. You can see the survey results in full here.